Projection rental package for audiences up to 150 people. 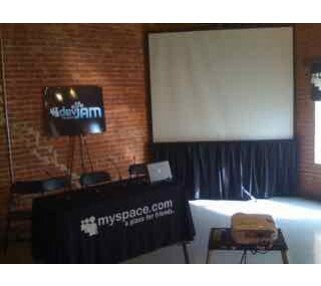 Includes 3000 lumen projector, 8' screen and cables. 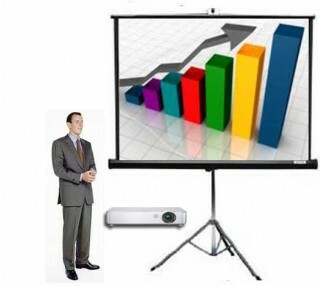 This portable projector and screen rentals package is perfectly paired for audiences up to 150 people. For Powerpoint presentations, photo montages and video clips running from a Mac or PC laptop, DVD player or other sources. Avista provides cabling from your source to the projector.